Posted October 4, 2018 by Seán Kinane & filed under Civil Liberties, News and Public Affairs. An American graduate student from South Florida has been detained in Israel and risks deportation; her mother is asking for answers. 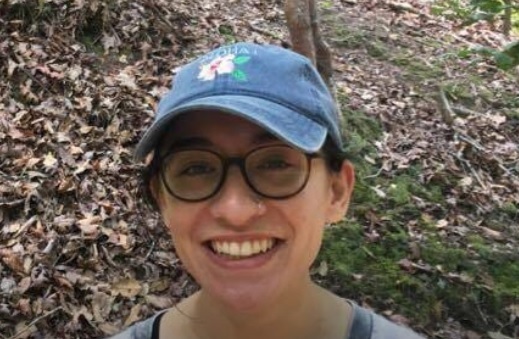 Lara Alqasem is in Israel to attend graduate School at Hebrew University in human rights and international law. But this week she was detained. WMNF News spoke with her mother, Pembrokes Pines resident Karen Alqasem on Thursday morning. “But we got a petition to allow her to stay – we had to get a lawyer, we got a petition to allow her to stay. They allowed that. Then she went to a hearing yesterday [Wednesday] morning at around lunchtime. And at that hearing the judge recommended that she be allowed to stay in the country because the reason that they were giving for not allowing her to stay was that she had some link to a student group at the University of Florida. She denies it and even the judge says the link was so weak that there was no need to deport her for that reason and that she should be allowed to stay. “The Dean of the university sent a letter, also, to the court, recommending that she be allowed to stay. She’s there to be a student and do her Master’s degree [in human rights and international law]. She has a visa from the [Israeli] Consulate in Miami to allow her to do that. Then, at that point they took her back to detention. It was going to be forwarded to the Ministry of the Interior who would make the final decision by the next morning, which is this morning [Thursday] around 10:00 their time; about 3:00 a.m. this morning the Minister of the Interior should have made the decision whether or not they agreed with her staying. Well, they’ve been delaying it and delaying it until this time I spoke to her lawyer about an hour ago [about 9:30 a.m. ET] and they said that they’ve recommend ed that she should not be allowed to stay. But you’re hoping that she’s allowed to stay in Israel and complete her graduate studies? And that’s at a university in Israel. Which university? You mention that they had questioned about her father’s background. What is her father’s background? This may or may not be relevant, I don’t know, but what about your background? Is there anything else that people should know about the case of your daughter?